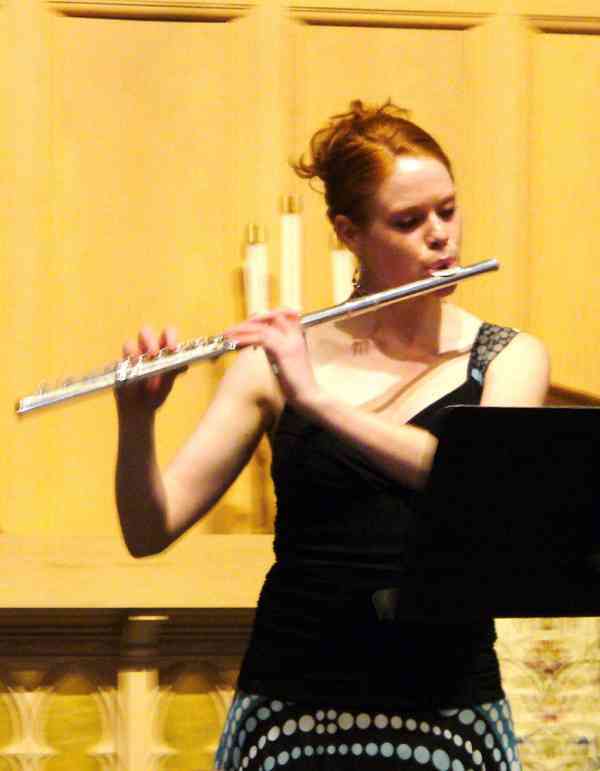 Bethany Gonella (previously Bethany Summersgill) is a flutist and piccoloist based in the Twin Cities in Minnesota. She performs as an extra/substitute musician with the Minnesota Opera Orchestra and Minnesota Orchestra and plays regularly in the South Dakota Symphony Orchestra, the La Crosse Symphony Orchestra and the Winona Symphony Orchestra. She completed her master’s degree in flute performance as a student of Jim Walker at the University of Southern California. She obtained her bachelor’s degree in flute performance at Northwestern University, studying with Walfrid Kujala and Richard Graef. She is currently a doctoral candidate at the University of Minnesota; she studied there with Immanuel Davis. Growing up in the Dallas-Fort Worth area of Texas, some of Bethany’s earliest musical influences were Suzuki violin lessons as well as flute lessons with Christine Cleary and Helen Blackburn. She loves teaching, and maintains both a private flute studio in the Minneapolis-St. Paul area and a college flute studio at Winona State University. Bethany stays actively involved in the Twin Cities flute community. To help support local flute students, she co-created and maintains a scholarship program for flute students through Upper Midwest Flute Association. Read more about Bethany at www.BethanyGonella.com.